Most of the people at the party we went to knew who we were. If they were any younger than us, they would not know who we were supposed to be. The Shining came out in 1980. Still pretty scary. 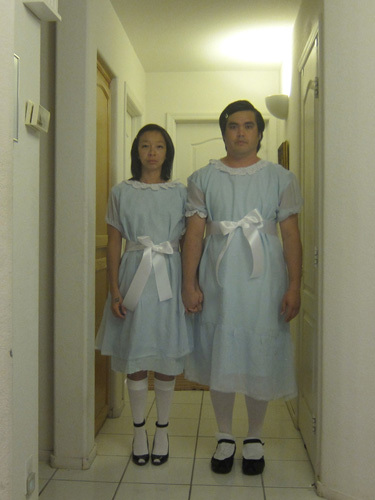 This entry was posted in Uncategorized and tagged halloween by lazrcat. Bookmark the permalink.